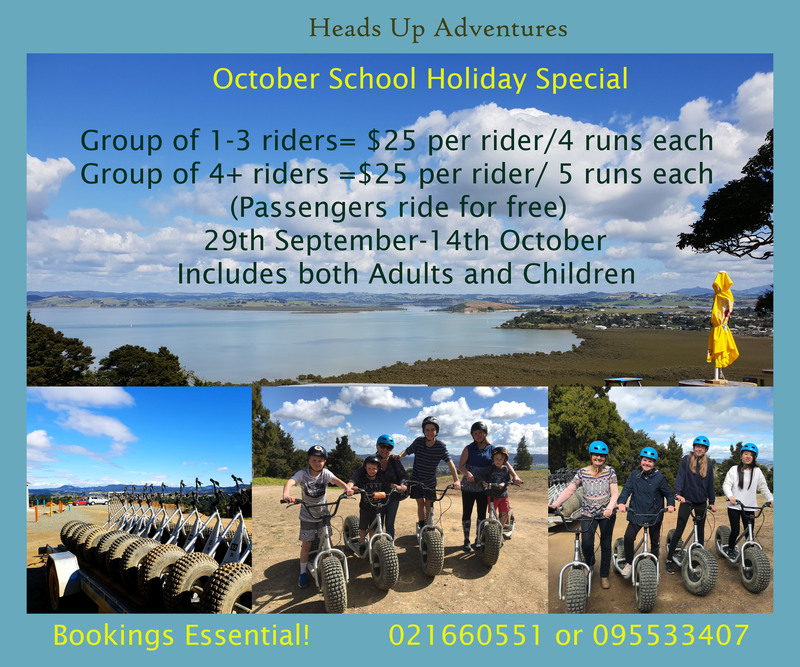 October School Holiday Specials are ready!!!! It’s nearly School Holidays!! Don’t worry parents, because the team at Heads Up Adventures have it sorted for you!!!! We have some awesome School Holiday Specials for you, kicking off on the 29th of September through to the 14th of October. Come in a group of 1-3 riders and pay $25 per rider for 4 runs each. Or come as a group of four or more, you can pay $25 per rider for 5 runs each.